Hannah and Peter found me through Peter's sister Caroline, whose wedding I'm shooting this Dec. They're a wicked couple who are so in line with my business ethos that after shooting their wedding I emailed my rebranding designer and said "do you remember all the characteristics I gave you for my ideal couple? Just shot the prototype" ha! Hannah and Peter are both thoroughly progressive, to them sexist wedding cliches are a divorce-able offence. They had lots of fun with doodle order of services, HP sauce bottles (their combined initials!) for flower vases and a patchwork chuppah made by their various beloved friends. Peter did one the best (read: funniest) glass smashes I've seen, taking the risk on a two footed leap! Equally brilliant was Hannah's stage dive onto the guests' arms and getting involved in being thrown up on the sheet, a new shooting experience for me! Their first dance after the dinner and speeches was also genius, they just went for it full pelt in style with complete abandon. So full of love for these two and their families! 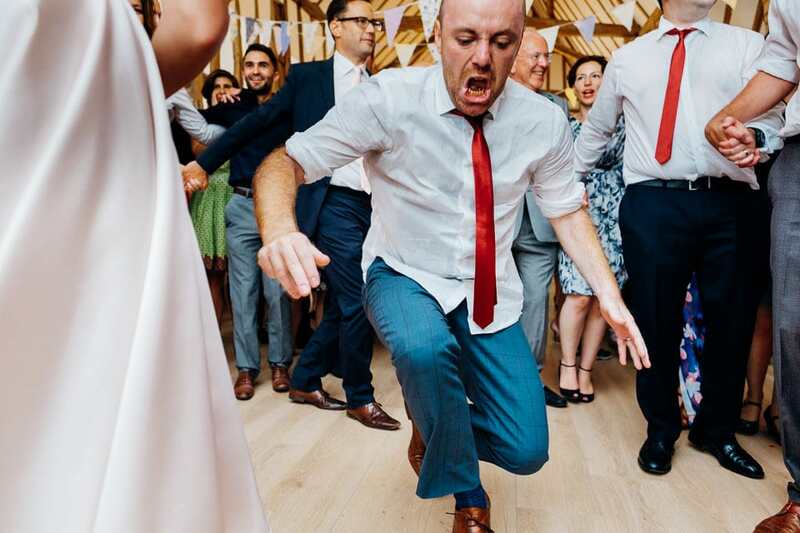 This article was posted in Real Weddings, Stuff For Married-To-Be's and tagged fun jewish wedding, jewish wedding photographer, london wedding photographer. Bookmark the permalink. Follow comments with the RSS feed for this post.Post a Comment or leave a trackback: Trackback URL.